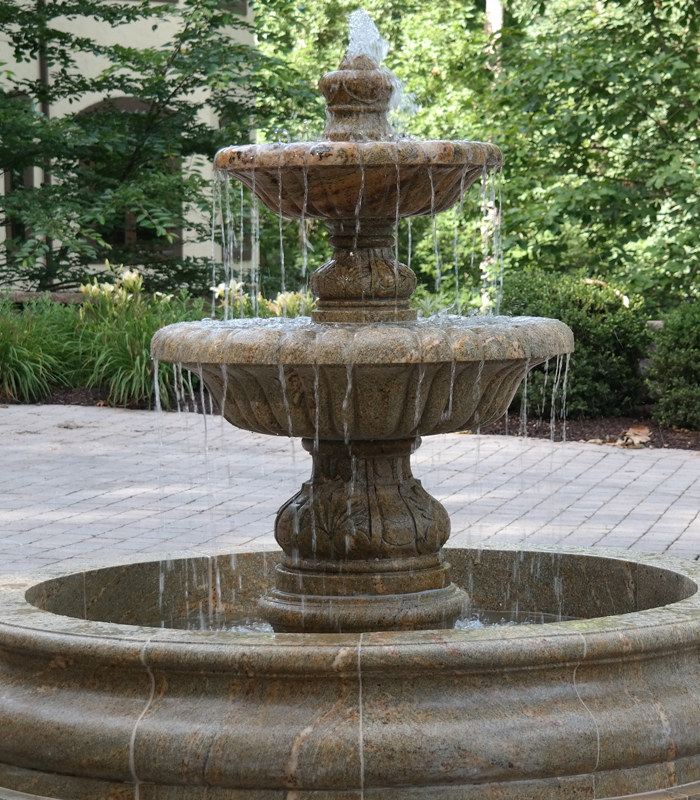 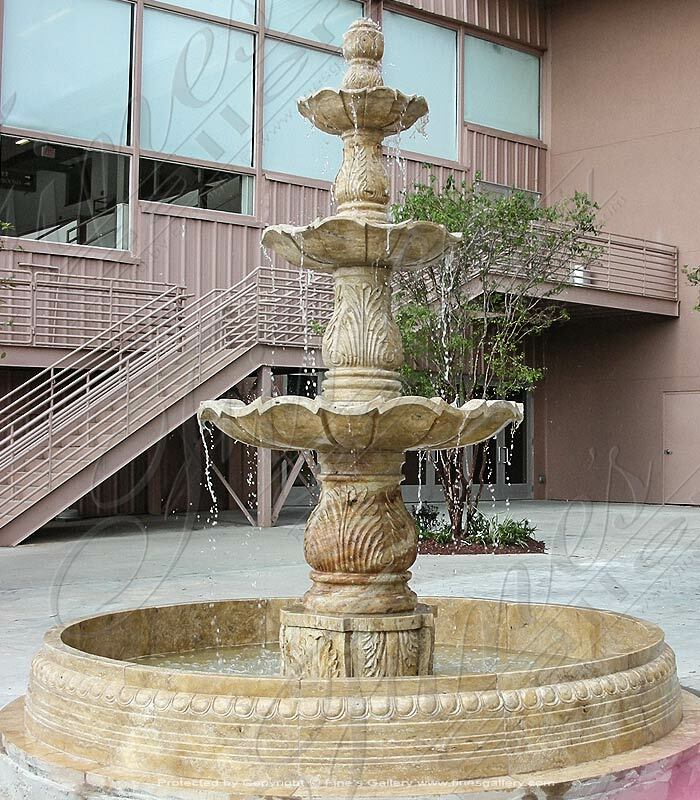 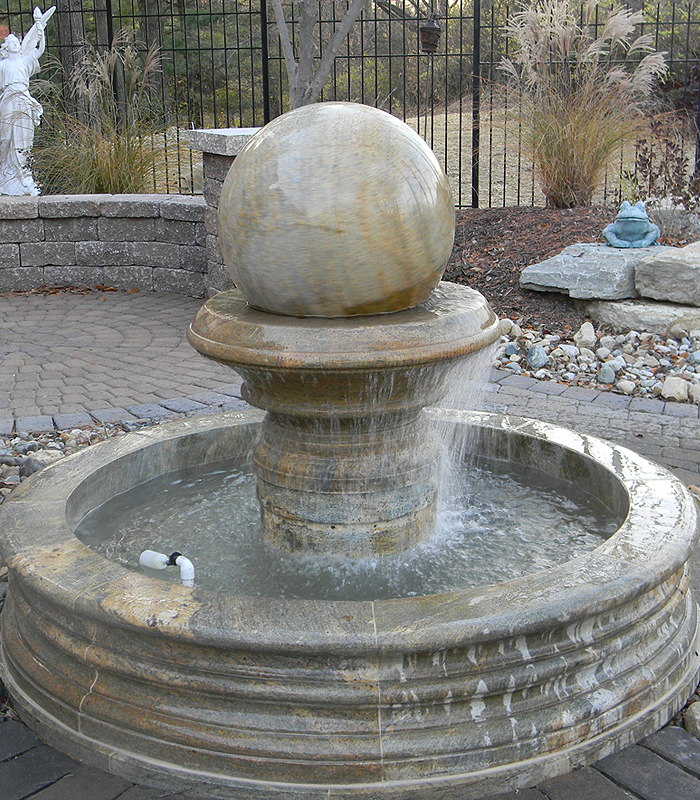 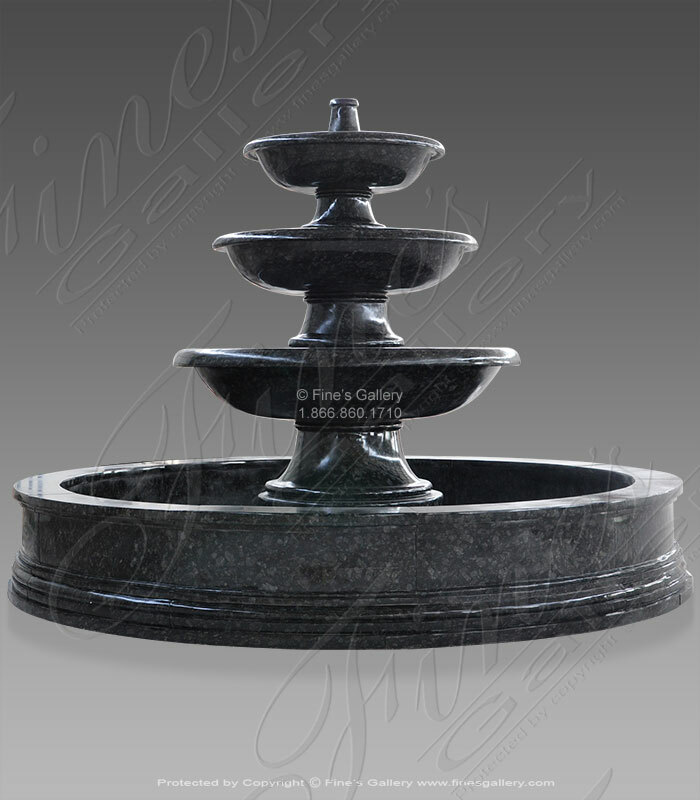 This three tiered Grecian Gardens Granite Fountain is perfect for any hardscape. 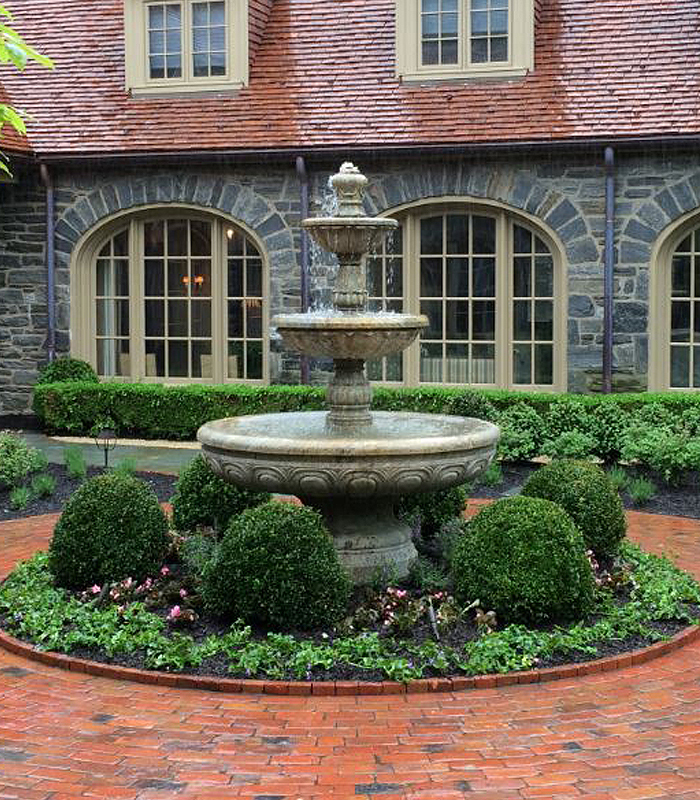 The traditional detail, compact functional scale and nuetral granite color blends into almost any garden, circle driveway or motorcourt. 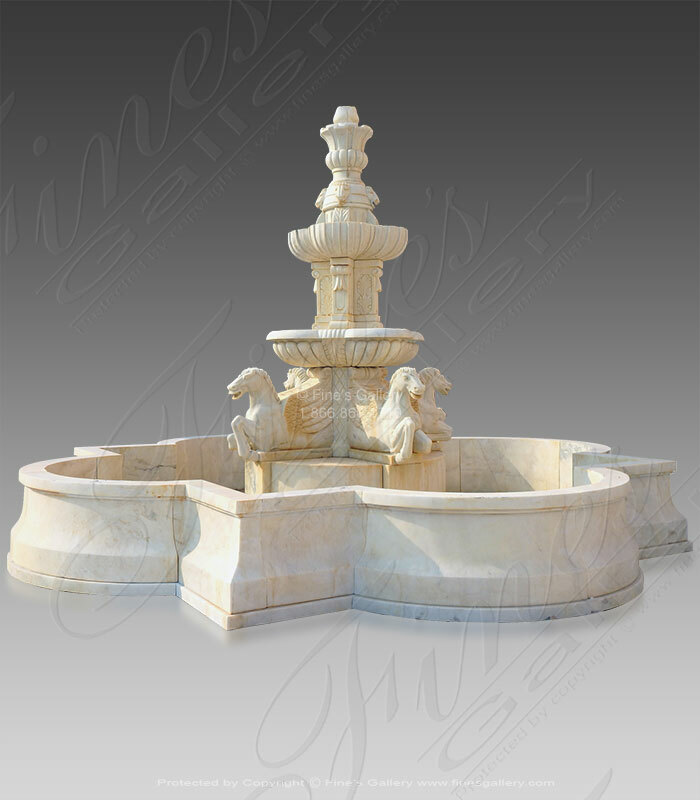 Available in marble. 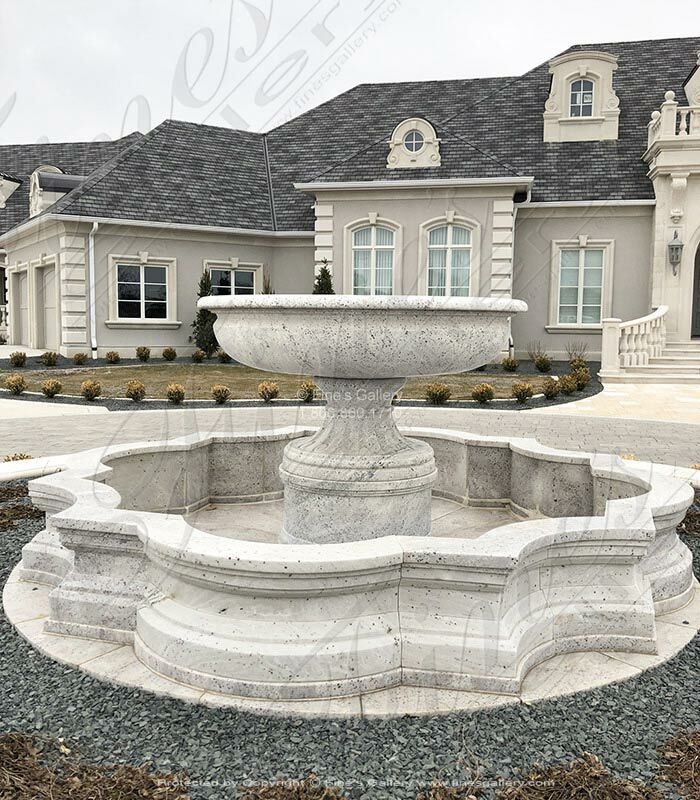 This marble fountain is pure elegance with its three tiered pedestal design, scalloped basins, and quatrefoil square pool. 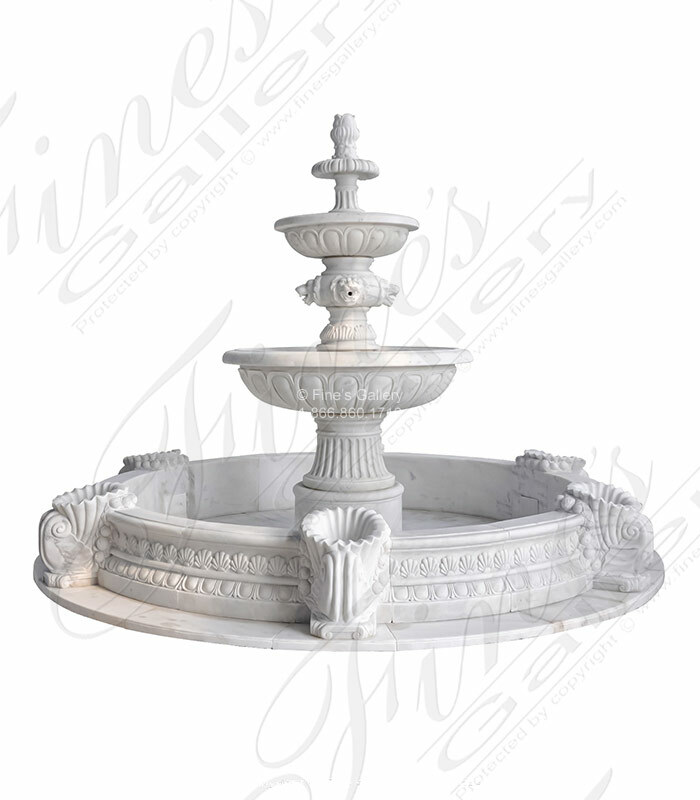 Decorated with acanthus and other fine artistic detail, you will treasure the beauty this piece adds to the surroundings. 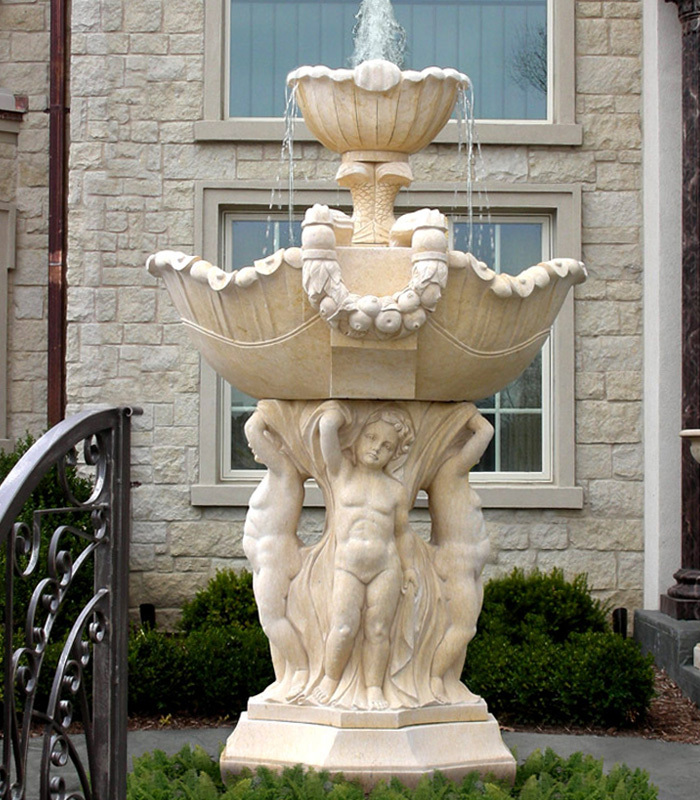 Tuscany Villas Marble Fountain. 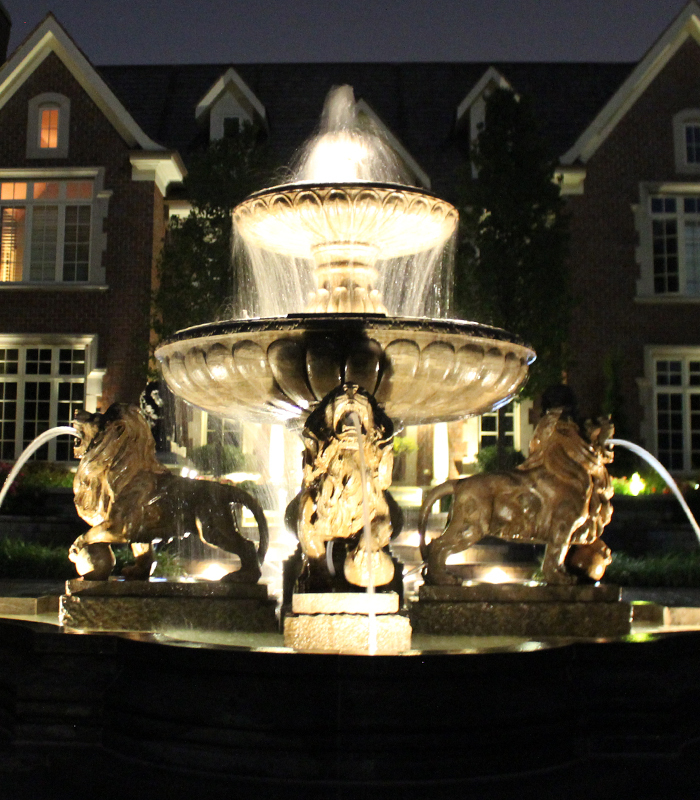 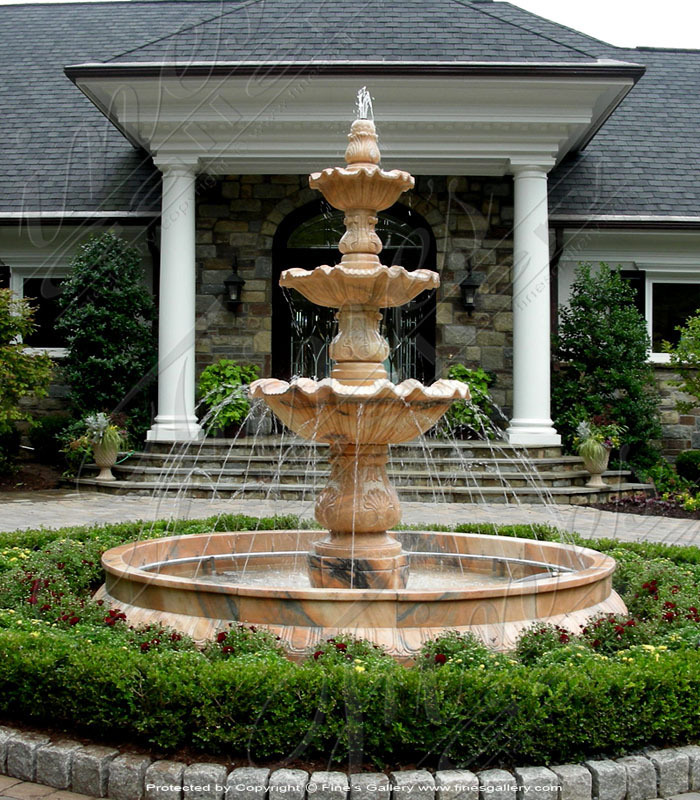 The tranquil design and colors of this three tiered fountain make it a prime focal point for the front entrance. 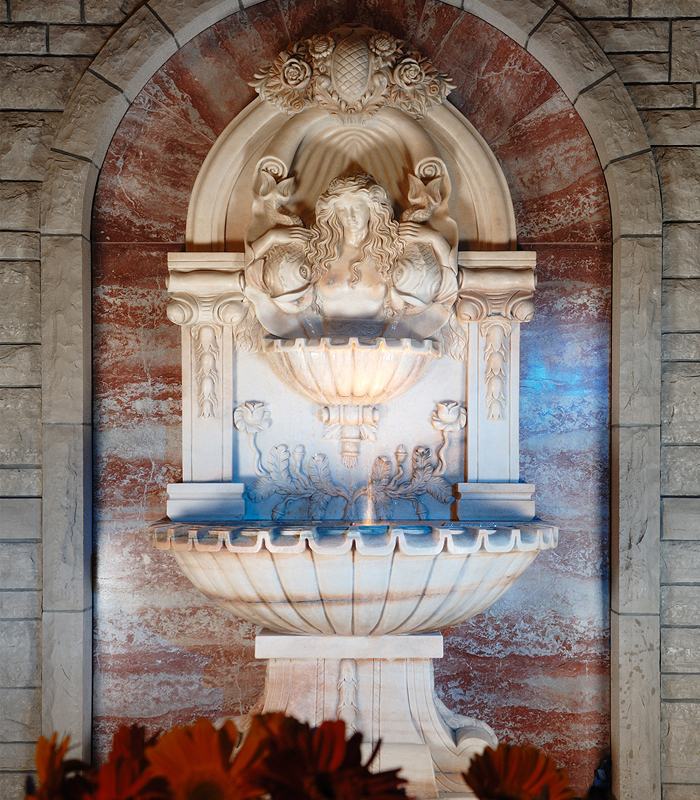 Accentuated by a natural peach & gray combination of marble to enhance a variety of surroundings. 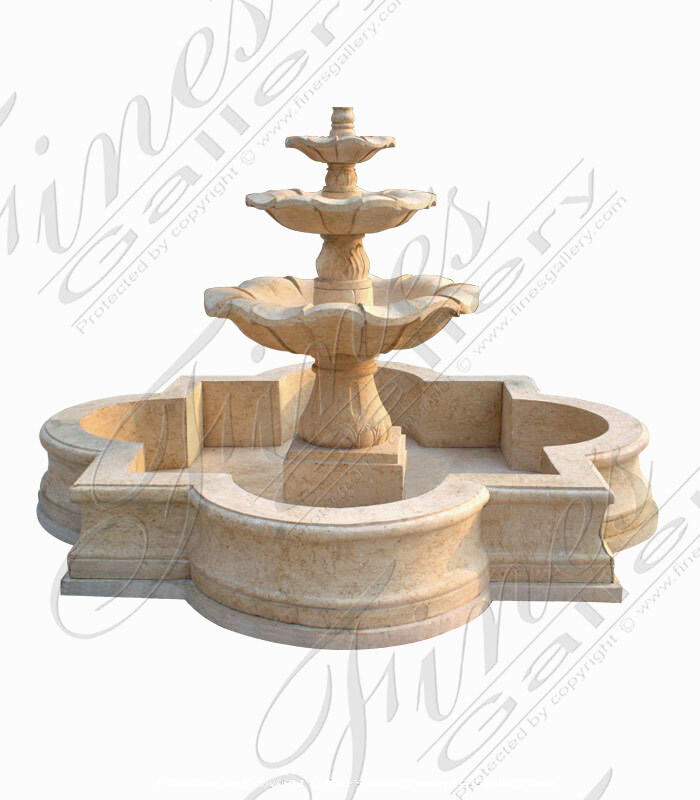 Antique Travertine Courtyard Fountain featuring a fleur de lis finial, accanthus leaf detail with four majestic lion heads. 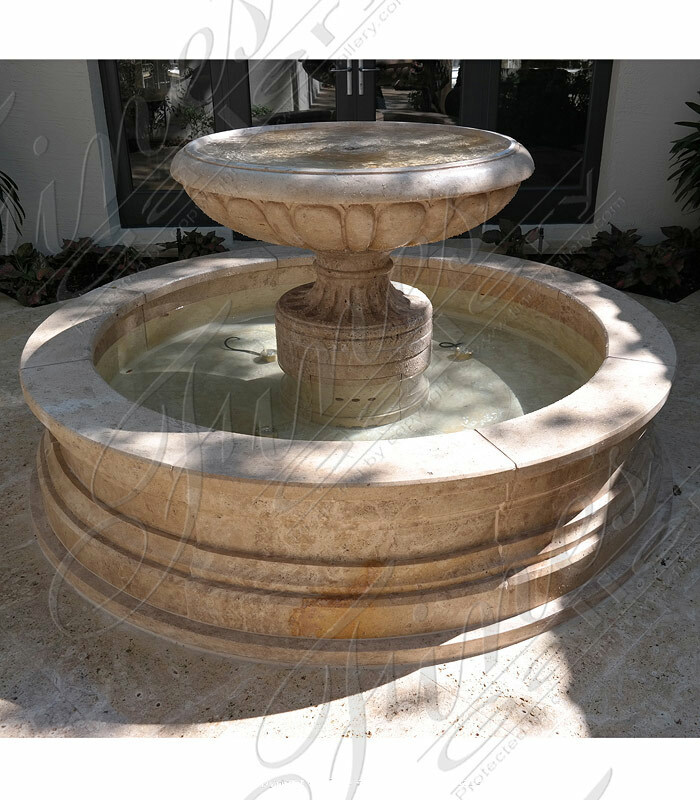 Natural solid antique calcium travertine first made famous in Ancient Rome. 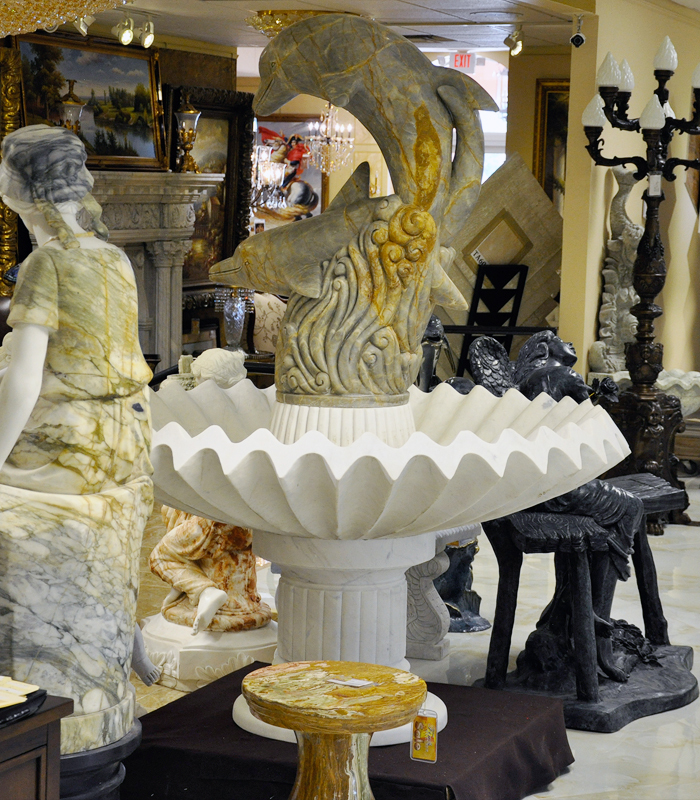 Brought to life via our master marble carvers! 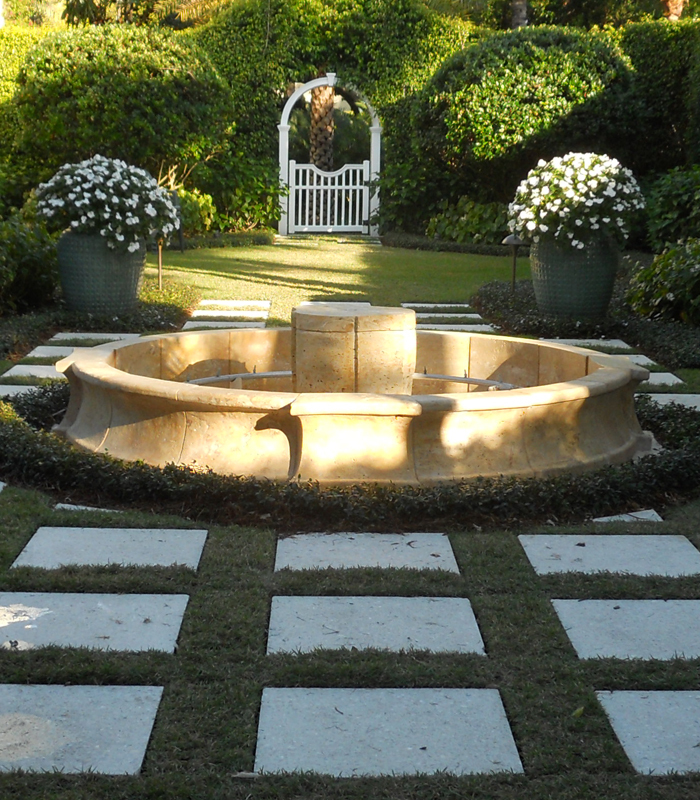 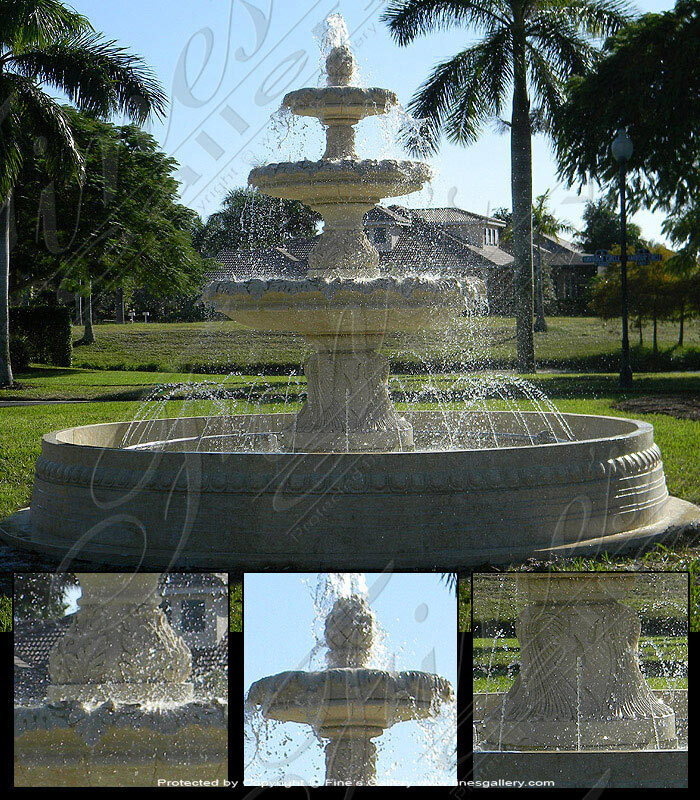 This elegant Palm Beach FL Cream Marble Fountain Feature is carefully hand carved to reveal every enchanting detail. 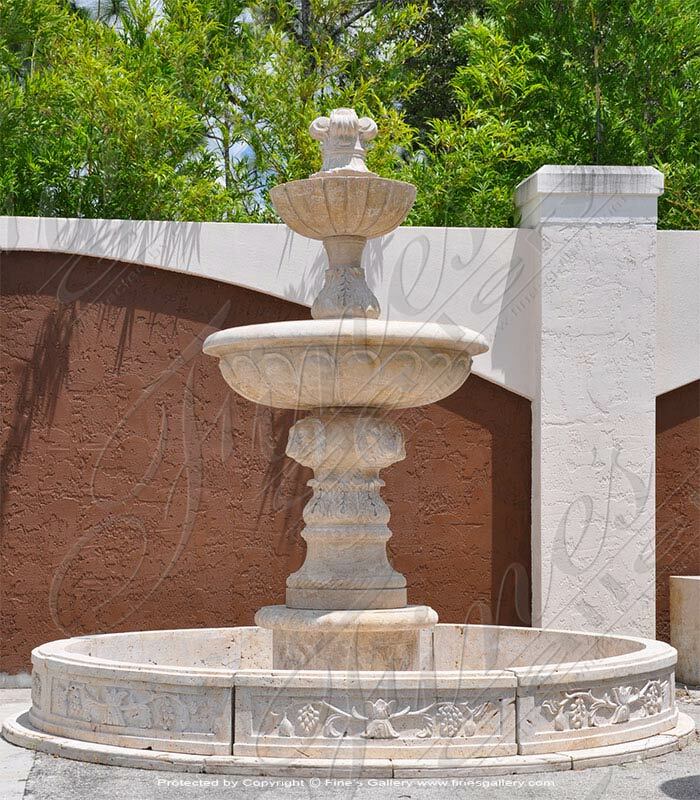 A pineapple finial and unique basins add subtle beauty, as does the egg and dart decor around the matching pool. 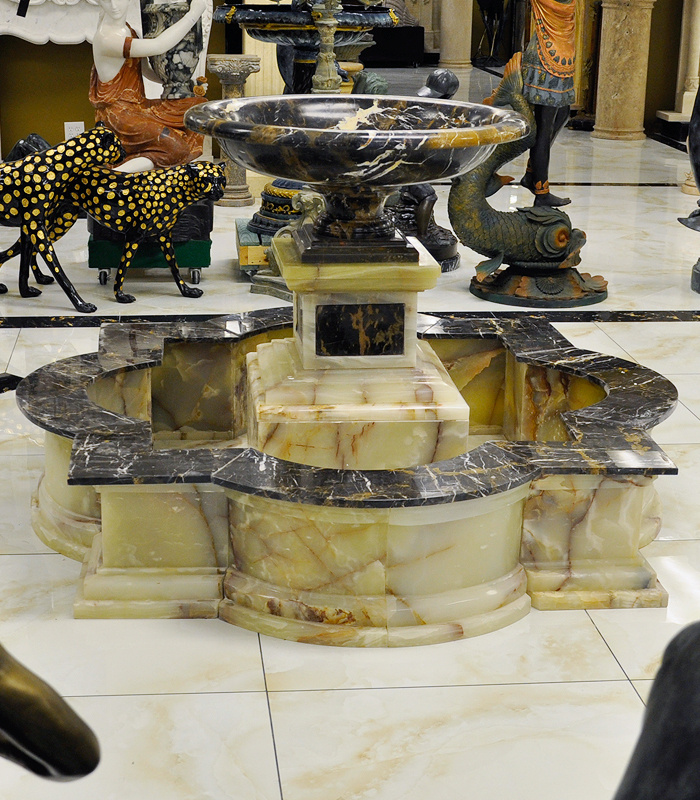 This very traditional antique white marble fountain is decorated with cornochopia shells and features four lions heads that spout water. 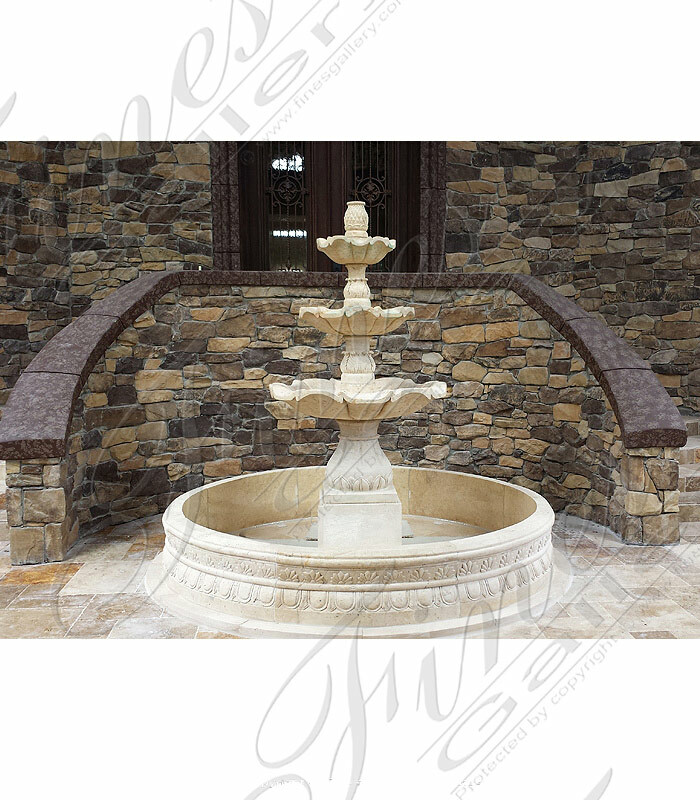 A very regal design perfect for any high end application. 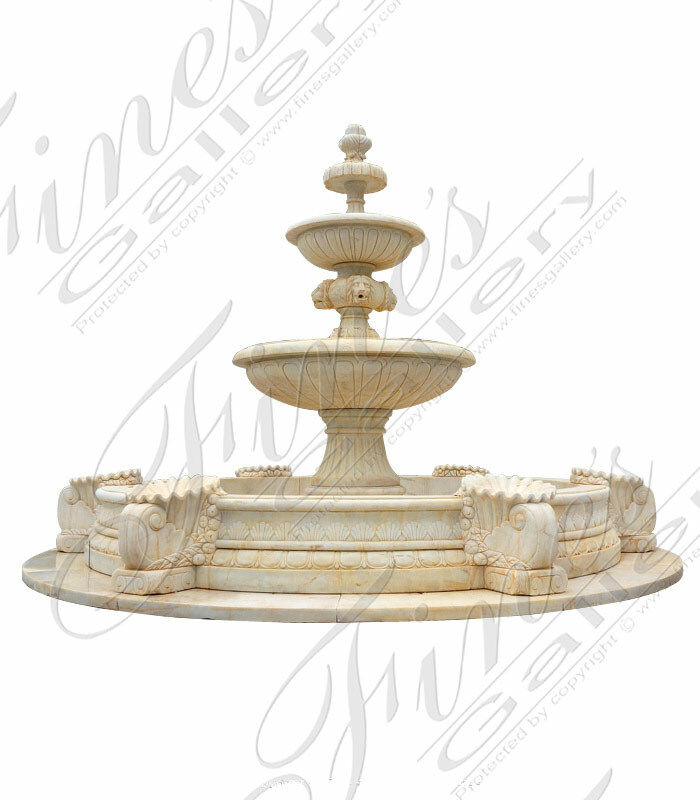 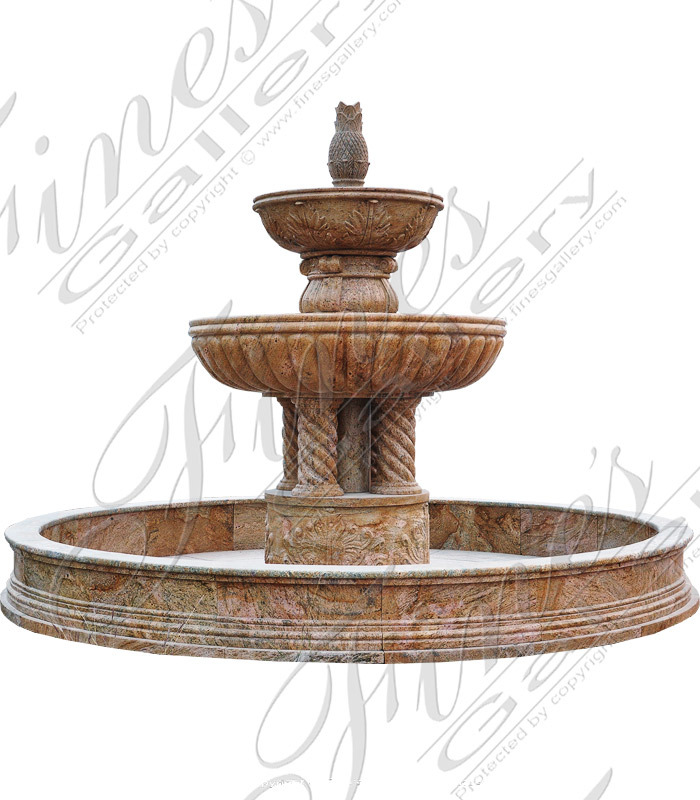 Enhance the beauty of your estate with this Classical Three Tiered Fountain in Cream Marble. 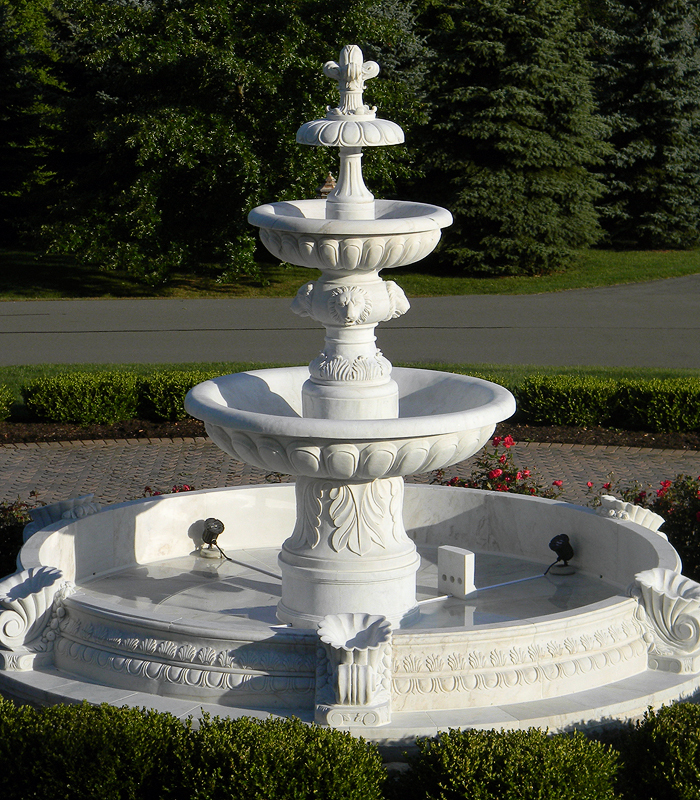 Three circular basins are sculpted with a gorgeous acanthus leaf border. 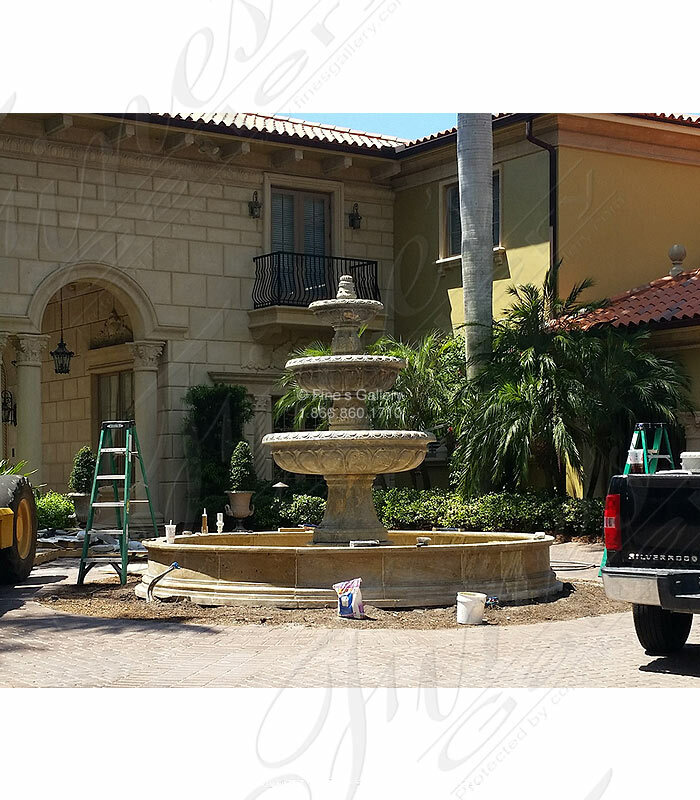 Installation shown here in Southwest Florida at commercial property. 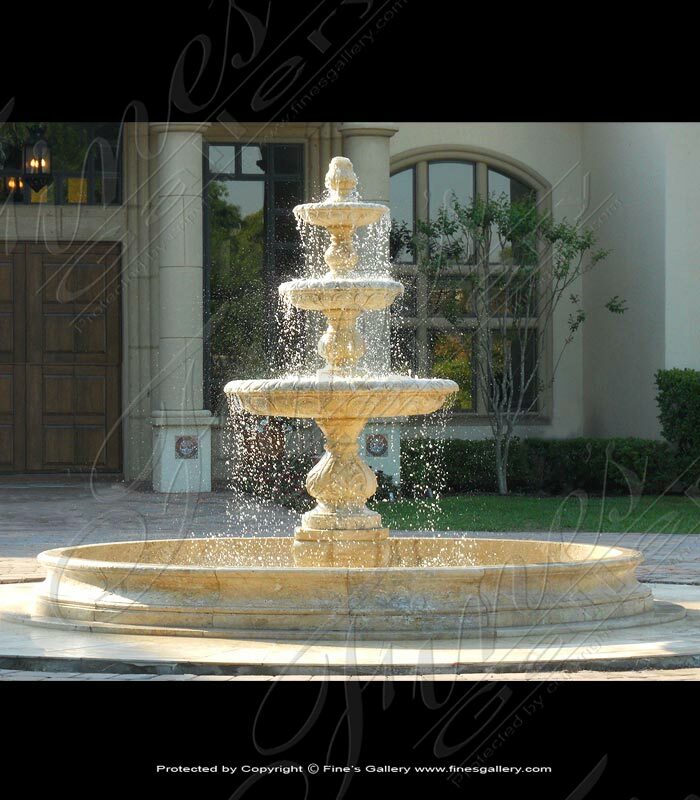 Enjoy the beauty of this This stunning Coral Gables Travertine Motor Court Fountain with waterfall melodies from this enchanting masterpiece. 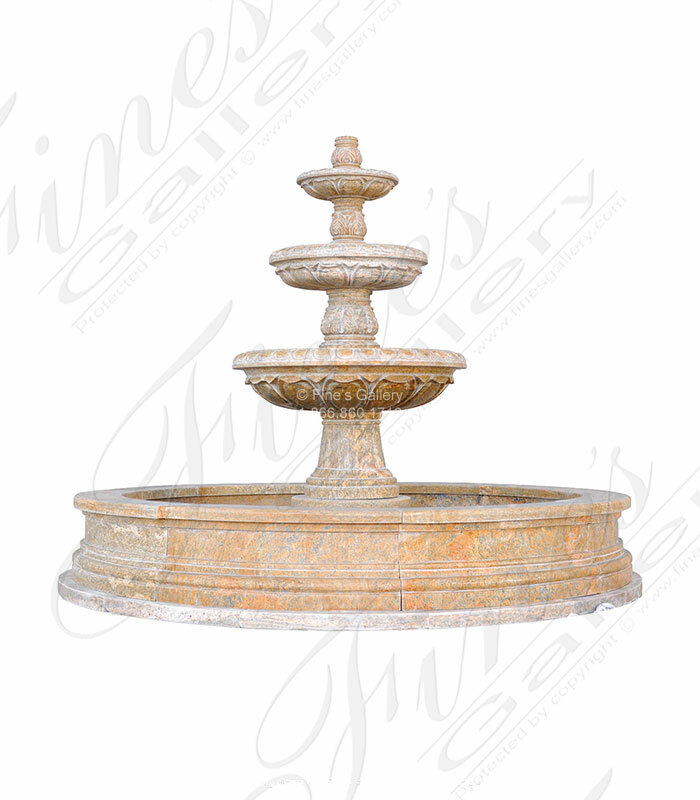 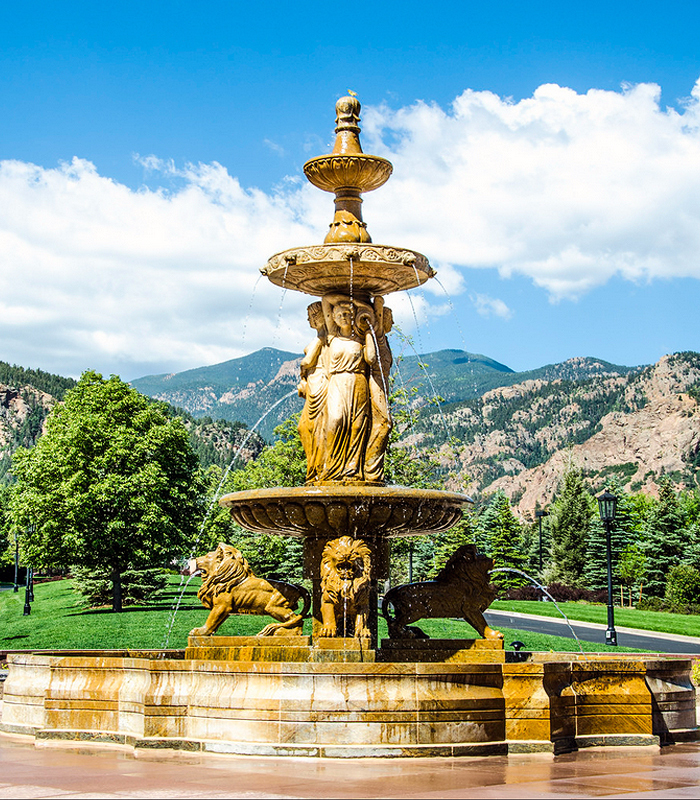 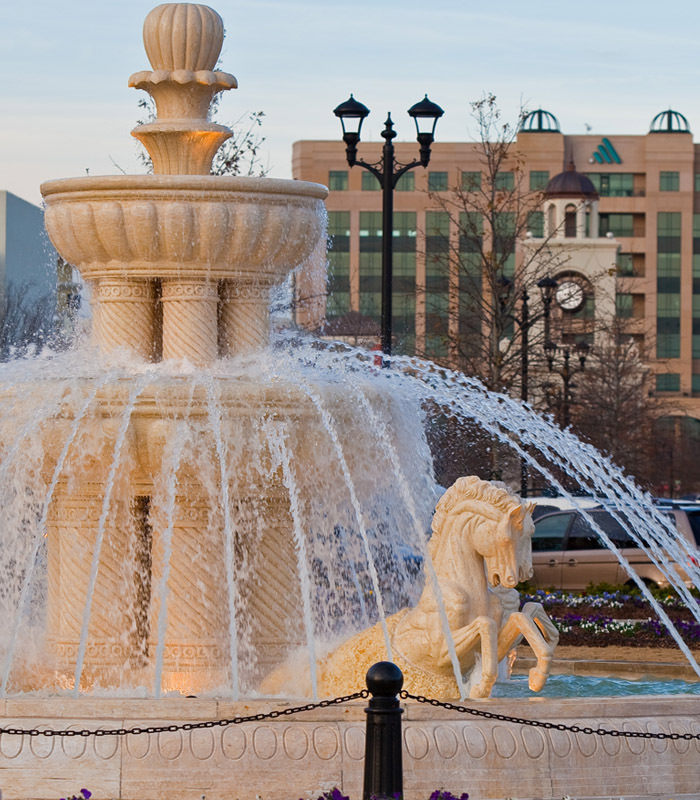 Each round basin of this stunning fountain is expertly sculpted with an ornamental egg and dart molding.